What Is Dirty Icing in Cake Decorating? A tray of petit fours looks especially attractive when you use multiple decorating techniques. 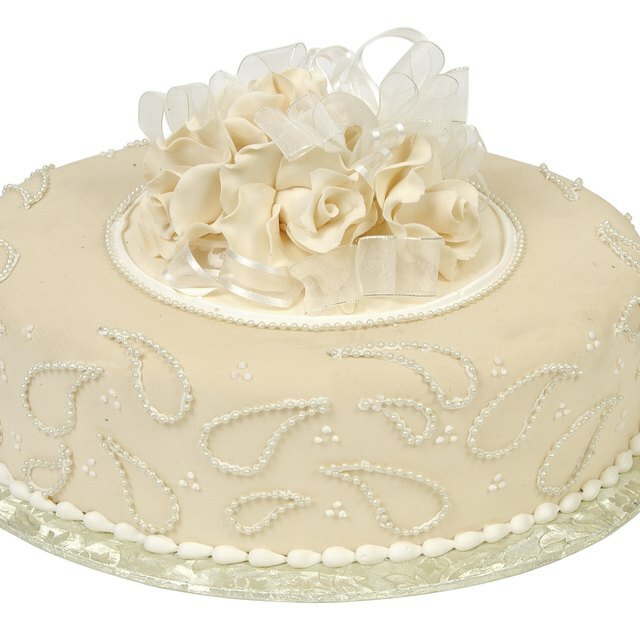 1 What Is Dirty Icing in Cake Decorating? 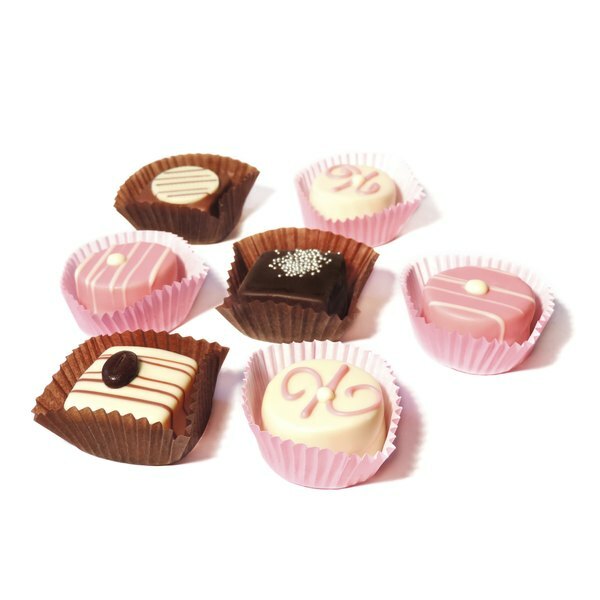 Petit fours -- tiny, iced cakes -- add a special touch to tea parties and showers and will fool guests into thinking you splurged on treats from a fancy bakery. The cakes are covered in poured fondant icing, which keeps them from drying out until eaten. Crumbs are the enemy to achieving smooth icing coverage, so use a dense cake like pound cake that doesn't produce as many fine crumbs as a lighter cake. Make a loaf-shaped pound cake from your favorite recipe, or use a prepackaged pound cake to save time. Place the cake in the freezer for at least 1 hour or until frozen. Frozen cakes are much easier to cut without causing excess crumbs. Trim away the brown top and sides of the cake with a long, serrated knife -- the brown would show through the thin icing. The top of the cake must be perfectly flat for best results. Set blocks along the sides of the cake to use as a guide for your knife. Alternatively, a cake leveler tool has a horizontal cutting wire with adjustable height to make it easy to cut a level top. Cut the cake into even squares, rectangles or circles about 1 1/2 inches in diameter. Use a straight-edge to make the edges of squares and rectangles perfectly straight. A circle cookie cutter makes it easy to achieve uniform circles; you can also use square or rectangular cookie cutters. Cut each piece of cake horizontally into two or three layers if you want to add filling. Add a small dab of fruit jam or buttercream frosting at the center of each bottom and center piece. Reassemble the layers, leaving the top layer bare. Tap the sides of the layered cake pieces on the work surface to compress any crumbs back onto the cake. Place the cakes back in the freezer for 30 minutes to 1 hour to freeze. Mix powdered sugar, corn syrup, water and vanilla extract in a mixing bowl to make poured fondant icing. For a standard 1 pound -- 4 cups -- bag of powdered sugar, add 1/4 cup of corn syrup, 1/4 cup of water and 1 teaspoon of vanilla extract. Stir in melted white chocolate, using 1 cup of white chocolate for every 4 cups of powdered sugar in the icing. Tint the icing with food coloring; pastel colors are typical for petit fours. Balance each of the frozen cakes on a large fork, two forks or a chocolate dipper tool and dip them into the icing. Spoon the icing over the cakes to ensure even coverage. Tap the fork on the side of the bowl to knock off excess icing. The icing should be warm from the melted white chocolate. If it becomes stiff, microwave it in 15-second increments or stir over a double boiler to return it to pour consistency. Set the iced cakes on a wired rack with a tray underneath to catch icing drips. Pop air bubbles with a toothpick so the finish is smooth. Allow the cakes to rest at room temperature for about 1 hour or until the icing sets. Drag an offset spatula along the wires to release the petit fours from the rack. Set them on a flat work surface for decorating. Roll up a thin strip of red or pink fondant into a spiral to make tiny rosebuds to place on the top. Top petit fours with small sugar paste flowers. Squeeze a small swirl of buttercream frosting at the center of each piece. Add untinted poured fondant to a piping bag and use it to make zig-zags, swirls or filigree designs on the petit fours. Place finished petit fours in miniature paper cupcake liners. If dipping the cakes sounds too intimidating, set them on the wire rack and spoon the icing over each cake, starting at the center and working your way to the sides so they are completely covered. The eliminates the risk of cakes falling off the forks or crumbling in the icing, but this method doesn't seal the cake at the bottom. Marzipan is sometimes rolled out thin and placed on the top layer of petit fours with a bit of simple syrup. The almond paste adds a bit of flavor and makes the top extra smooth when you add the icing. Brit + Co: Make Easy Color Blocked Petit Fours With Only 5 Ingredients! Can I Crumb Coat a Cake With Whipping Cream? Can Deviled Eggs Be Prepared Two Days Before Eating? How Long Does Peanut Brittle Take to Cool?